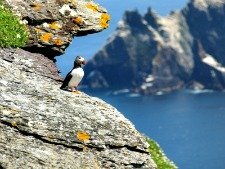 "A great way to start your holiday to County Kerry"
and beautifully clean sea air that rolls off the Atlantic coast. 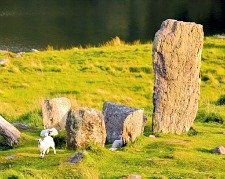 If your plan is to visit the beautiful Southwest coast of Ireland from the UK then your best bet is to take the overnight ferry from Swansea to Cork. This popular route stopped running for years but was reintroduced in March 2010 due to popular demand. After a good night’s sleep in either a private cabin or a reclining Pullman seat you feel fully rested and ready to head out and explore. County Kerry is just 55km from Cork harbour! Unfortunately the operators of the Swansea to Cork ferry went into liquidation late in 2011. This was a real shame as this was a highly enjoyable way to start your holiday to Ireland. 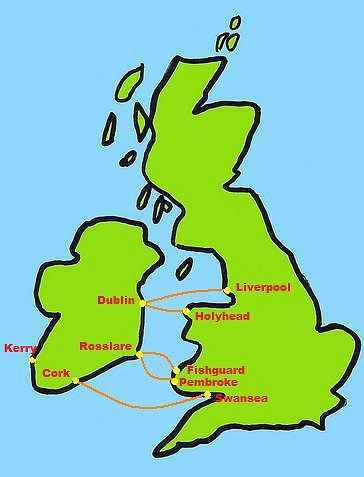 We now take the the ferry from Pembroke to Rosslare which is outlined below. On the plus side this crossing is both faster and cheaper! Liverpool or Holyhead to Dublin. Pembroke Dock or Fishguard to Rosslare. These routes run more frequently,are cheaper and the crossing times are under 4 hours. The transfer to the County Kerry takes a little longer, just over 4 hours. Bookings can be made through either Irish Ferries or Stenaline. Taking the ferry to Ireland is the ideal option for my family as it means our dog Alfie can come with us when we visit our holiday cottage. Funnily enough when we fly to Kerry Airport, Ryan Air don't allow us to pack him in our hand luggage. However, as long as he stays in the car the ferry is an extremely dog friendly way of traveling to Ireland. 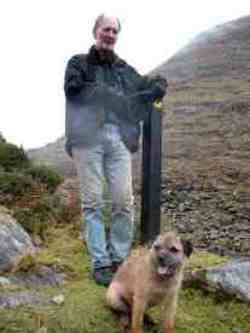 He loves it as soon he will be charging around as much Kerry countryside as he possibly can. My sister rarely comes out to Kerry any other way. Its not that she doesn’t like flying; its just that she is totally addicted to surfing and windsurfing off the Dingle peninsula.This way she can load up her van with all her kit and go camp on the beach for as long as she cares to. Just don’t get your van stuck in the sand like I did! The ferry is also a great option if you are planning a golfing holiday in Kerry or planning to cycle the Ring of Kerry. By bringing your own car you can bring all your sporting gear and when you get here you have the independence to drive yourself to the top cycling spots and the best Kerry golf courses. I hope that you find jumping aboard the ferry to Ireland just as pleasurable a start to your holiday in Ireland as I do.